Tubular Bells has made a massive impact since the original release back in 1973, spending almost an eternity at the top of the charts. There have been many imitators and whilst influencing both major artists and mainstream music in the process, it has sold over 10 million copies world wide. It was popularised initially by the film The Exorcist with chilling effects. The music is a groundbreaking instrumental that has swept the nation, transcending all genres to become a colossal musical phenomenon. 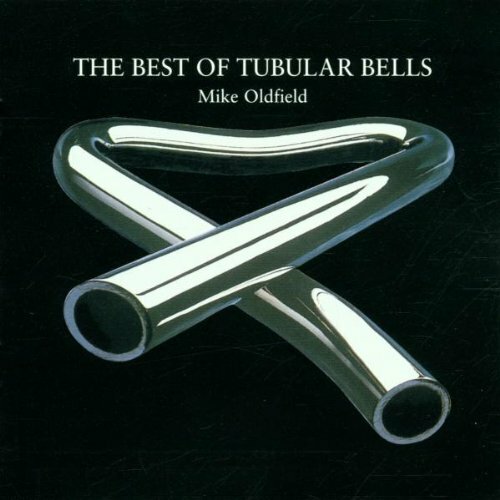 With the huge success of Tubular Bells, Oldfield decided to recreate the essence of the original Orchestral Tubular Bells (1974) Exposed (live recordings - 1979), Tubular Bells II (1992), Tubular Bells III (1998) and most recently The Millennium Bell (1999). Proving that longeivity is possible if you have all the right ingredients, including the quality of the original recording and the unique nature of the Tubular Bells series which has inspired the release of 'The Best Of Tubular Bells'. Compiled by Simon Heyworth who produced the original Tubular Bells release and in close consultation with Mike Oldfield - it includes the best sections of all Oldfields previous releases. Anyone who is wondering how these individual movements have been lifted from the entire scores will be thrilled by Heyworth's meticulous attention to detail and imaginative editing of these seminal works. The Best Of Tubular Bells will be available from 4th June 2001. What?!! Nothing from TB3?????? Sheesh, it's a TB incarnation, I'd think they'd have put something from TB3 on it! I suppose for a compilation of edits, it should get its point across....but I'm just a bit shocked that there's nothing from 3 on there. I'll buy this compilation, but i'll feel a real deception. Well, what can I say, I am very dissapointed that there is nothing from TB3 on the album. TB3 is according to me the best TB-album, and why did they include a song from The Millennium Bell together with all that tubular bells songs. TMB has nothing to do with the TB-albums, or am I totally wrong? And why is there 3 Tubular Bells - Part 1 (Original Edit)? I'm kind of dissapointed about this album actually, but as a collector I'm going to buy it anyway. ok... what in the hell is wrong with these ppl??? has mike smoked to much weed... what???? first off... what do we need the exposed on there for... there are FAR BETTER concerts to choose from for material... imho!!! and also... um excuse me... but wasnt TB3 a tubular bells album too??? im seriously annoyed by the whole thing... and personally i am going to write paul at dark star and convey my disappointment with this compiliation!!! maybe if we pull together and write paul... we might get something accomplished... like some track changes!?!?! cant hurt to try atleast!! anyhoo... im outta here. and like one other person on here said... yeah ill go out and buy it cause its mike and its tubular bells. but thats the only reason i can see at this point! The 'Far Above The Clouds' track was missing in the first tracklisting published here. It appeared first on the listing published by Dark Star. I'm disappointed with BoTB. We know all these tracks, there's nothing new. If it would be remixed in one piece of music "Tubular Trilogy"
I would be much happier. christopher, it's great idea, let's everybody write to dark star, what do we think about this. Also suggested, (by me), was a double CD to include otherwise unreleased material, or tracks that have not appeared on CD before. Something is planned for the future, probably 2003 - which is the 30th anniversary of TB. Is this cheering you up now? It's making me happy. It's what some of us might have been waiting for. I am working the people at Virgin to get something of value released - but everything is really driven by commercial considerations, which limits what they are prepared to do. The other option is to do something through Dark Star, and we are, and have been looking at that too, but its not as easy as it appears. All right, don't be angry, we all know that this BoTB is made to mass market and maybe to answear to those who recently see 'The Exorcist' and want to know more about the music they heard. It can makes some good convert ! I'm not desapointed by this compilation, 'cos it's not for fan. IMHO, though there's not so much TB3 in it, I think tracklist is good. BTW, I think this is a good thing for advertising to release this now, while 'The Exorcist' is on screen. It may help Mike to be more famous, to have new audience, to be present on TV (by advert...), to relaunch his career in some countries, and to promote his others albums. Paul, I'm very pleased by your announcement ! Let's wait for 2003 ! Should have the cover art soon - I'll post it on www.mikeoldfield.org when its available. Who is this aimed for ? Collectors ? Wouldn't it have been nice if there had been some kind of bonus on the CD ? Something unreleased (wich I'm sure there has got to be) or something new. I wont buy it. And I don't understand the inclusion of the Millenium Bell track. Surely there are better and more serious tracks than that wich could have been included from that album ? It could be the cover of the promo version of the CD, although 'promo' is not written on it. I hate to sound like a namby-pamby, but does anyone else find the new illustration on the home page ("Everyone has their cross to bear") just a little offensive? I'm surprised that it bothers me, because I'm pretty thick-skinned when it comes to edgy humor, but...the Oldfield/Christ comparison is a bit rough, as is the guy with the whip. The Christ is not the only one to have been crucified. Roman people used to do it to any kind of people who didn't respect their law. Noticed something: The picture of the Bell seems to be exactly the same as of TB1 (only different background). No redesign, first time. Back to the roots?